Welcome, and do not fret. I see that you are lost and confused, in need of guidance and support. Lucky for you, thou have stumbled into the Scorpion's Den. Aside from venomous arachnids, you shall find guides a-plenty within this humble abode. Over the past couple of years in which I've been playing WoT, I've been cranking out guides in hopes of providing a valuable resource for players which are seeking to learn. Some of the guides are fairly simple and directed more-so towards newer players. 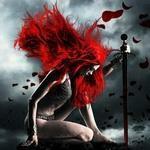 Other guides however are rather quite complex, and may provide benefit to even seasoned veterans. As time passes and I create more guides, I shall add on to the compilation below. Guides from other members of the Forums, and various websites / tools which I find to be very useful have also been linked here. If these are the drones you were looking for and you are intent on staying, then sit back, turn on some pimping music and read away... all your questions shall be answered here. This section appears to be empty. Sad. Fear not however! It shall be added to very, very soon! Rage, False Accusations, etc. ; and why they are bad. KingAlphyn's Noob Friendly Tips (For beginning players, a good overview about some of the "Do"s and "Don't"s of WoT. Will add more as I find them / as people suggest them. If there's something you feel as though I should definitely link here, tell me in a comment below and I shall add it! Will add more as I find them. If you have any suggestions on more sites to link here, let me know! Will add more as they are suggested. Please tell me which other channels to mention here... I don't follow Twitch or YouTube very often, so there are a lot of channels I do not know of, which very well deserve to be linked here. I would like to mention that some of my guides linked above are on the old side. I will go through all of the guides within this Thread soon, and update them with more accurate and up-to-date information. Most of the content within the guides is still very viable, some of it merely needs some revising. Update: Added TargetDamage and WoTHelp to the list of useful websites & links. Added "A Guide to going AFK with minimal effect on your team"
Update: Added "The Ultimate Light Tank & Scouting Guide" to the Game Mechanics section. 'Tis my longest guide to date. Update: Added a Charioteer Review to the "Tank Based" section. Enjoy! Update: Added an O-I Experimental Review to the "Tank Based" section. Hope it helps! Enjoy! Changed the name of the "Tank-Based" section to "Tanks"
Changed the name of the "Map-Based" section to "Maps"
Added a KV-5 Review to the "Tanks" section. Added a 59-Patton Review to the "Tanks" section. Added KingAlphyn's Noob Friendly Tips (For beginning players, a good overview about some of the "Do"s and "Don't"s of WoT. to the "A Compilation of guides from other players" section. 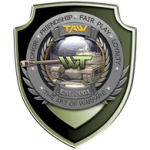 Update: Added a WT auf E-100 Review to the "Tanks" section. Enjoy! Update: Added a Pz. Sfl. IVc Review to the "Tanks" section. Enjoy! Update: Added a FV4005 Review to the "Tanks" section of the Forums. Enjoy! Added a 113 Review to the "Tanks" section. Added a T110E5 Review to the "Tanks" section. Update: Added a Cromwell Review to the "Tanks" section. Enjoy!